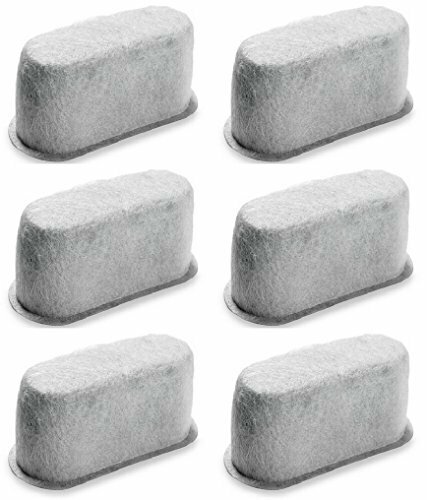 Set of 6 Premium charcoal water filters designed by NISPIRA to be compatible with the KitchenAid coffee makers model KCM222, KCM223, KCM1402ER 14-cup. Filter size: 2.4" x 1" x 1.25"
Suggested filters should be replaced every 3 months. Filter size: 2.4" x 1" x 1.25". Each filter individually sealed and baged. Not include retail box. If you have any questions about this product by Nispira, contact us by completing and submitting the form below. If you are looking for a specif part number, please include it with your message.